We welcome to the Nordic Hall he first Chamber Music Exchange between Harvard and Uppsala Universities initiated by Paul-André Bempéchat, Artist-In-Recidence at Leverett House, Harvard University and Director musices Stefan Karpe. The result is an exchange between students from Harvard and members from the Royal Academic Orchestra. 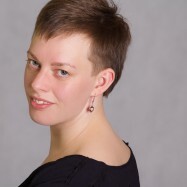 The group will be performing Mozart’s Kegelstatt Trio for clarinet, viola and piano, Schumann’s Piano Quintet, and sextets for piano, clarinet and string quartet by Prokofiev and Steven Stucky, as well as medley of Scandinavian folk songs adapted for string quartet, as well as well-known Swedish piano works. 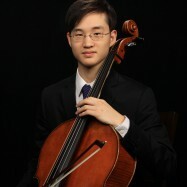 Bihn Park As winner of the children’s division of the Philadelphia Orchestra’s Greenfield Competition, Sang Bin made his solo debut with the Philadelphia Orchestra at age twelve. Later that year, NPR’s “From the Top” featured Park as a soloist at the Holland Performing Arts Center. Part of that recognition was being a recipient of the $10,000 Jack Kent Cooke Young Artist Scholarship. In 2009, Mr. Park was invited to perform at the Philadelphia premiere of “The Soloist.” Bihn captured first prizes in the Ambler, Bucks County, Delaware Tri-County, Pottstown, Kennett, Delaware Tri-County Music Festivals, Wagner College and was the 2008 and 2010 winner of the ASTA PA/DE state ages 19 and under competition. He has also soloed with the Ambler Symphony, Bucks County Symphony, Pottstown Symphony, Ocean City Pops Orchestra, Temple Music Prep’s Baroque Orchestra, Temple Music Prep’s Youth Chamber Orchestra, and the Kennett Symphony. Park was invited to perform for The ASTA National Guild Members. 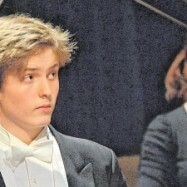 During the summers of 2010 and 2011, he attended The Meadowmount School of Music on a full merit-based scholarship. From seventh grade until junior year, Bihn was the Principal Cellist and Orlando Cole Chair of the Temple Music Prep Youth Chamber Orchestra. Constantin Maximilian Knoll was born 1996 in Bonn, Germany and is currently a senior at Harvard College studying Physics and Mathematics. At the age of nine, he was admitted to the Robert Schumann Conservatory in Düsseldorf where he studied piano under the tutelage of Professor Barbara Szczepanska. Additionally, he received training in violin and composition. Constantin has won 13 first prizes in piano performance, including the first prize at the International Steinway Competition in Hamburg along with the special prize for Viennese Classic. In 2008 he was awarded a first prize at the Jungstudenten Wettbewerb J.U.S.T in Düsseldorf and in 2007 at the International Grotrian-Steinweg Competition and the International Vienna Piano Competition. Furthermore, he received a first prize at the Ferdinand-Trimborn-Competition in Ratingen and was a finalist at the International Franz Liszt Competition in Weimar. Julia Litborn grew up in the county of Dalarna, Sweden. There she began playing violin for her mother and later at the Music Gymnasium in the city of Falun, the capital of the region. She holds a Bachelor’s degree of European Ethnology from the University of Copenhagen and currently is she studying for her Master’s in the same discipline at Uppsala University. Ms. Litborn has been a member of the Royal Academic Orchestra since 2014. 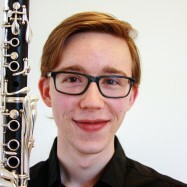 Johan Moritz was born in Stockholm and has studied clarinet at Mälardalen University. Mr. Moritz has been a soloist with several amateur orchestras in Sweden and has been a member of the Royal Academic Orchestra since 2011. Mr. Moritz is currently studying Computer Engineering at the Royal Institute of Technology in Stockholm. Jon Olauson was born in the city of Härnösand in north Sweden. 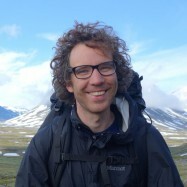 He has studied mathematics and energy system engineering at Uppsala University and currently is he completing his PhD on the topic “Modelling wind power for power system studies”. He says that: “the long-term goal is to study how we best perform the transition to a renewable energy system”. Mr. Olauson started to play the violin under the so-called “Suzuki Method”. Later he studied viola for two years at Härnösand Folkhögskola (a preparatory school for conservatories). He has been a member of the Royal Academic Orchestra for several years and plays chamber music regularly in a string quartet with Ms. Litborn and two other members of the orchestra. 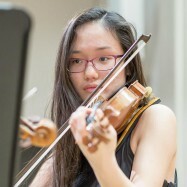 Chinese-American violinist Cecilia Yao is currently pursuing a Bachelor of Arts Degree at Harvard University, with a secondary in Music. She began her violin studies at five years old and at age 12, was accepted to the Juilliard Pre-college. While at Juilliard, she studied with Dr. Ann Setzer and performed regularly in Lincoln Center, as a part of the Juilliard Pre-college Orchestra, the Juilliard Pre-college Symphony, and as a chamber musician. For six summers Cecilia also attended the Meadowmount School of Music, where she was a scholarship recipient. In competition, Cecilia was named a 2014 National YoungArts Foundation Winner, received Grand Prize in the International Virtuoso Competition, and first place in Rhode Island’s Got Talent.